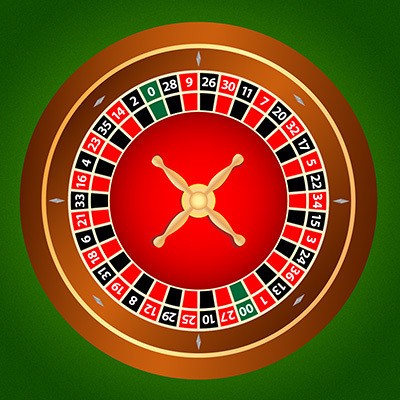 Apart from slots, there are few other casino games that are as recognisable as Roulette. Roulette has been a part of the casino industry for the better part of the last one hundred years, and has featured in a variety of media, such as films. This has made Roulette extremely popular among casino players, to the point where it is one of the most played games that casinos offer, third only to slots and blackjack. 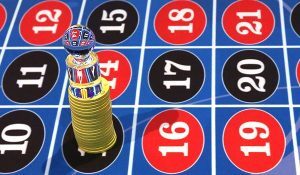 One of the appealing factors of the roulette table is its sheer amount of available bets that can be as simple as possible to incredibly complex. Due to how the betting system works in Roulette, there are almost an endless number of bets available that players can take out on the table, and each one has its own set of odds and winning criteria. There are, however, some bets that have stood the test of time and remained more popular than others. This is either due to their simplicity, their exhilarating nature, or simply because they can net the player more money. Whatever the case, these are some of the most popular bets among Roulette players, both at land-based casinos and online. Simple bets are often best in all arenas, whether playing Roulette or enjoying online betting. The simplest of them all; the player will pick any number on the wheel and bet on it. If the ball lands on that number, the player wins. Despite how simple it is, its higher odds can make it harder to hit. As simple as they come, red/black bets are when the player takes out a wager that the ball will either land on red or black. It does not get much more complicated than that, and even though the odds for this type of wager are incredibly low, it still remains extremely popular among new players. The Roulette wheel not only has red and black on it, but also a series of numbers. These numbers are what more experienced players will bet on, and depending on the region you are playing, there may only be one zero, or two. Here, the player wagers on whether the ball will land on an even or odd number. There is also a fair amount of superstition attached to the numbers on a Roulette wheel. The number 7, for example, is considered lucky, and is the number that many will play. Conversely, 13 is thought to be unlucky, so many players will avoid it all together. Similar to the odd/even bet, except with less risk involved. Either a wager will be placed on a higher set of numbers, usually between 19 to 36, or the lower set, which is between 1 to 18. If the ball lands in the right range of numbers, then the bet is a success. This bet also tends to have some of the lowest odds among the Roulette bets. These are just some of the more popular bets among newer players, but there are endless more to choose from. The more complex the bet, the higher the potential rewards, but this also comes with a higher risk. For those wanting to start playing Roulette, these bets are the place to start. Previous Post Why is Football Such a Popular Sport?